It’s Sunday, Florida State fans. As your weekend comes to a close, keep it here for the latest in FSU athletics. The news and notes section of this post will be updated throughout the day. 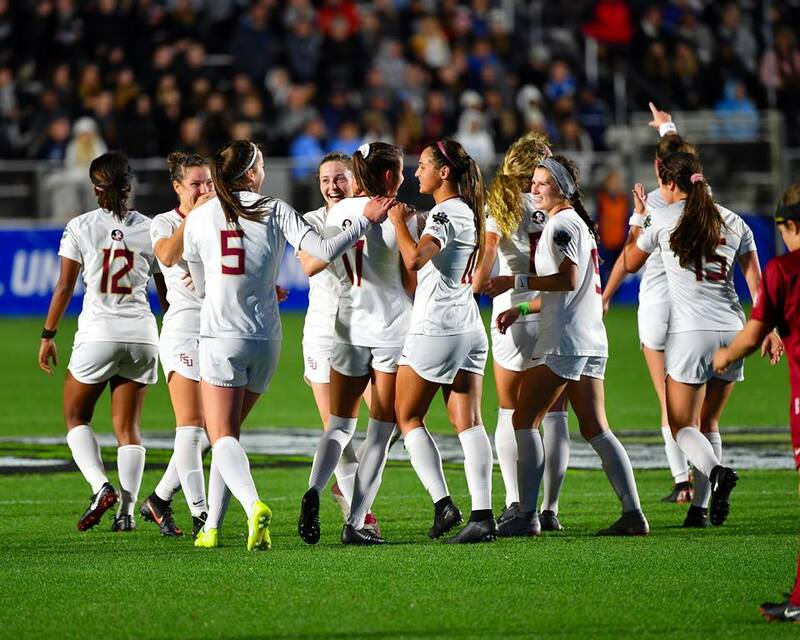 College soccer’s ultimate prize will be on the line in Cary, North Carolina on Sunday as Florida State and North Carolina meet for the national championship. Both were No. 1 seeds in the NCAA Tournament and the teams previously met in Cary for the ACC Championship. The Seminoles are coming off a 2-0 win over Stanford to snap the Cardinal’s 45-match unbeaten streak and advance to the final. FSU is led by junior forward Deyna Castellanos and freshman midfielder Yujie Zhao, the ACC Freshman of the Year. Caroline Jeffers had been solid in goal for FSU since taking over for the injured Brooke Bollinger. North Carolina topped Georgetown in double-overtime on Friday to reach the national championship. Julia Ashley and Brianna Pinto have combined for 42 points this season for the Tar Heels while Samantha Leshnak has manned the goal for most of the season. The Seminoles prevailed 3-2 when the teams met for the ACC title last month, but North Carolina won the first meeting in Tallahassee on Sept. 14. Sunday’s contest begins at 1 p.m. EST and will air on ESPNU. FSU track and field was at Boston University on Saturday. FSU’s national title soccer match is the only scheduled athletic contest for Sunday. FSU’s Militsa Mircheva set the tone for Florida State’s indoor track season Saturday night by shattering the school record in the 5000 meters at the Boston University Sharon Colyear-Danville Season Opener.